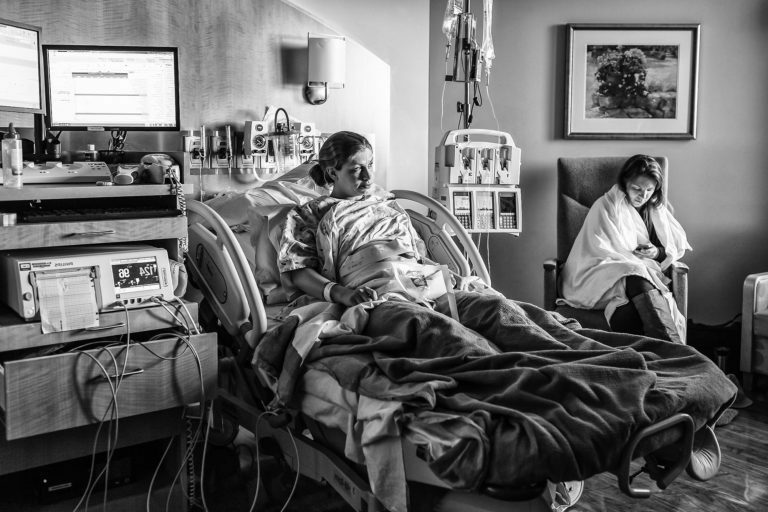 There is a strong but wrong assumption in the United States that normal childbirth inevitably risks the life of unborn babies and regularly leaves the pelvic floor of childbearing women permanently damaged. For more than a century, the obstetrical profession has searched intensely for ways to dependably eliminate cerebral palsy (CP) and similar neurological pathologies, while also looking for ways to prevents malpractice lawsuits. 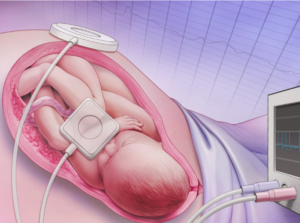 American obstetricians believed the invention of electronic fetal monitoring in 1958 gave them a near-perfect tool for preventing these birth-related tragedies. 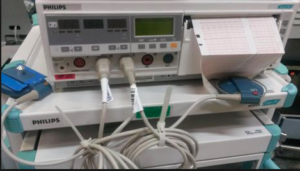 EFM is formally described as a medical procedure that uses electronic instruments to continuously record both the heartbeat of the fetus and its laboring mother’s contractions. These two streams of data are displayed on the monitor’s screen as well as being recorded on a moving graph paper that creates a permanent legal record of the minute-by-minute status of the unborn baby’s health throughout the hours of labor and birth. In the United State, the obstetrical protocol for the use of c-EFM is to monitor every laboring woman continuously during the entire length of the labor and birth, no matter how healthy the mother or normal the pregnancy. However, electronic fetal monitoring by itself was only half of the answer that the obstetrical profession was searching for. The other and equally critical part of this “obstetrical miracle” was immediate operative delivery — forceps, vacuum extraction, or Cesarean surgery — to immediately rescue the unborn baby at the slightest hint of fetal distress as indicated by the EFM tracing. Continuous EFM, with its ability to gather critical information about the wellbeing of the fetus, combined with the ability to almost instantly remove the baby from the mother’s body via Cesarean surgery, was considered by the obstetrical profess to be a marriage made in heaven. Under these circumstances, it’s no surprise that the obstetrical profession aggressively and quite successfully promoted the use of these two obstetrical procedures. Obstetricians repeatedly assured the American public that the routine use of EFM, combined with the liberal use of Cesarean surgery at the slightest indication of fetal distress, would to universally prevent babies from becoming brain-damaged during childbirth. This was accompanied by the obstetrical profession’s assumption that all births were to occur in an acute-care hospital setting under obstetrical management. The sub-text of this, sometimes verbalized, sometime not, but always present was the none-too-subtle inference that any failure to hospitalize laboring women, no matter how healthy, or the failure to electronically-monitor the entire labor equated to the earliest form of child abuse relative to the unborn baby and represented criminal neglect of the medical needs of laboring women. The historical context behind the modern phenonomon is instructive, as these and other obstetrical interventions (such as inducting labor, episiotomy, forceps and high CS rate) were all seen as making up for the design flaws believe by the obstetrical profession to be a normal facet of female reproductive biology. For more than a century, obstetrical textbooks in the United States described childbirth as a ‘patho-physiology‘ — that is, a biologically natural process that was fundamentally harmful (i.e. pathological). In the early 1900s, obstetricians described pregnancy as a nine-month disease that required a surgical cure. This referred to the physical damage to both mother and baby relative to childbirth frequently seen by obstetricians. The mother’s perineum and adjacent soft tissue was often bruised and sometimes damaged so badly that stitches were required. Dr. DeLee dismissed the so-called ‘normal-ness’ of childbirth relative to the mother’s premium as like “falling on a pitch fork”, in that severe damage was inevitable. Likewise, he described the mother’s “iron perineum” as requiring the unborn baby head to repeatedly batter against an unyielding obstruction. 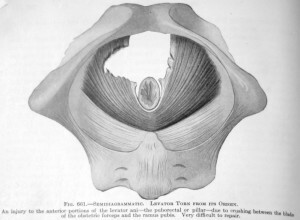 In addition to the pain, it was believed that this assault on the mother’s pelvic floor was the origin of the ‘female troubles’ many women experienced later in life. To the obstetrically-trained mind of American doctors, this justified the use of all and any interventions based on the idea that they were saving the lives of innocent mothers and babies by snatching them back from Mother Nature, who obviously was a b-i-t-c-h. Unfortunately, the obstetrical profession did not realize the iatrogenic nature of most “female” troubles in women who had have obstetrical managed births. 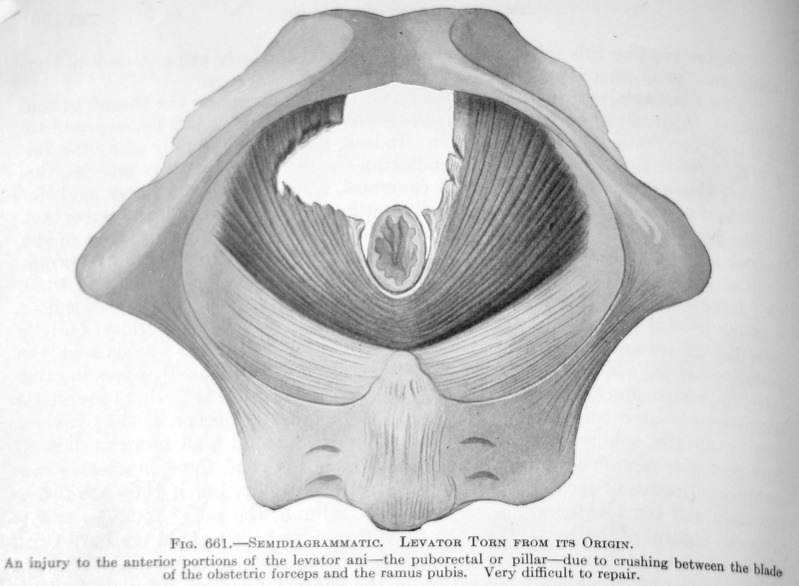 Few realized that so-called “biological weakness” of the female gender for American women was actually a direct result of the routine use of obstetrical forceps that damaged nerves, tore supporting ligaments, sliced through the musculature of the mother’s pelvic floor, as demonstrated in the accompanying graphic (Fig. 661). This left behind a host of other physical problems including fistulas and life-long incontinence. Nor does this take into account same kind of damage to the baby‘s face, ears, skill and brain. But from the perspective of a late 19th and early 20th century male physician, it seemed that a woman’s reproductive biology was God’s mistake when compared to the biology of a man. For the male of the species, sexual reproduction never resulted in his death (except being shot by a jealous lover!) or physical damage to the man’s sexual organs, whereas women could be harmed or die from the complications of pregnancy and childbirth. This supposed biological inequality was just one more brick in the wall that divided the sexes and resulted in an assumption that men were the ‘perfected’ half of the human species, while the female gender was the biologically and psychologically inferior half — nature’s mistake. As for the newborn baby, doctors saw the patho-physiology of the female gender as making childbirth so hard on the fetus that newborn babies were often too tired to breathe and so they died or suffered a variety of birth injuries that might leave them physically or mentally handicapped for life. Given the facts of this obstetrical perspective, the much higher C-section rate associated with EFM is was seen an unexpected benefit for women, as Cesarean delivery was the only sure way to save new mothers from developing ‘female troubles’. As expert witnesses, obstetricians frequently testified in court cases and provided information to the news media about the role of EFM. In the opinion of many obstetrical spokesmen, any failure to utilize this potent new combination of continuous EFM and nearly-instant access to Cesarean delivery constituted medical malpractice, the “earliest form of child abuse”, or criminal neglect, depending on whether the culprit (as defined by the obstetrical profession) was a hospital or doctor, the parents or a midwife. At this point in our history, the American public generally accepts our highly medicalized childbirth system as a welcome status quo — a wonderful use of the most modern and cutting edge technology to make life better for everyone. People don’t question our highly-medicalized obstetrical system any more than they wonder if telephones, personal computers and air travel are a ‘good’ thing. Are these assumptions about c-EFM & liberal use of C-section born out by the scientific literature? Does the research identify the routine use of continuous EFM and liberal use of Cesarean surgery as substantially reducing neurological problems in newborns when compared to simpler methods of intrapartum monitoring? Has medical science discovered reasons other than the management of the labor and birth that explain why some apparently normal birth result in CP and similar problems? As for preventing ‘female problems’, no one wants new mothers to become incontinent or suffer pelvic damage as a result of childbirth, but does the high rate of Cesarean surgery in the US reliably prevent those problems? 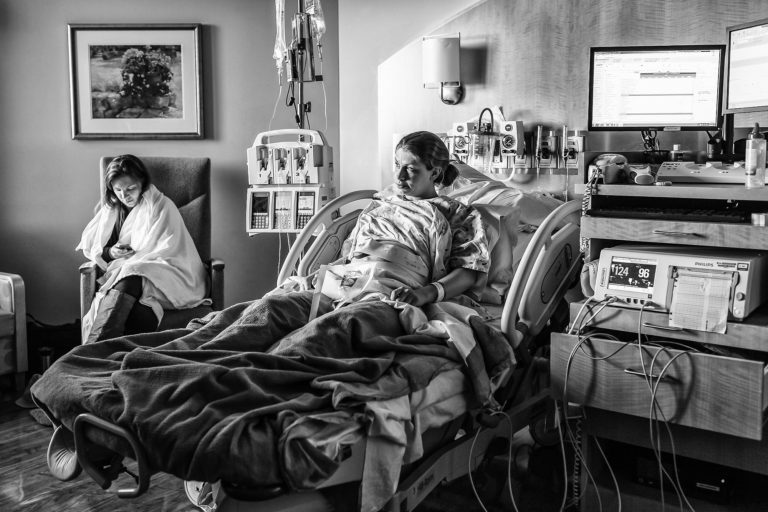 Since c-EFM and elective Cesarean delivery were both incorporated into the American standard of obstetrical care decades ago, one world assume the answer is “yes”. Interestingly enough, the obstetrical profession’s own research, as published in its own peer-reviewed journals says “no” to both of the supposed ‘cures’ for CP and other imagined benefits of c-EFM and liberal use of Cesarean. 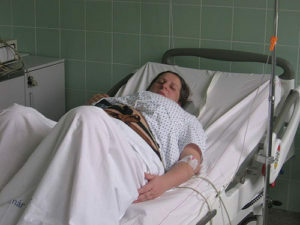 In fact, scientific studies identify many of the routine obstetrical practices associated with our highly medicalized model of childbirth to make matters worse for families and society when the unproductive expense are taken into account and the increase in medically-unnecessary operative deliveries and their well-documented complications and increased maternal mortality rate. When the electronic technology of fetal monitors first became available, obstetricians all across America genuinely believed they finally had a permanent solution to an ancient and heartbreaking problem. Historically and in contemporary times, some apparently healthy babies of healthy mothers do not survive an apparently normal labor and birth for inexplicable reasons, while other newborns suffer unexpected but nonetheless permanent mental and/or physical disabilities. Members of the obstetrical profession were convinced that continuous EFM for all laboring women was the new and improved standard of care and would, when combined with cesarean delivery whenever the monitor tracing indicated even a small problem, be the long-awaited answer to their prayers. But in modern America (post-medical malpractice crisis of 1975), the family’s personal and financial tragedy was often compounded by a professional tragedy — the high likelihood that parents will file a lawsuit against the hospital, and all the doctors and nurses involved in the labor and birth. Since 1975, there has been a 6-fold increase in the routine use of c-EFM on low-risk mothers. 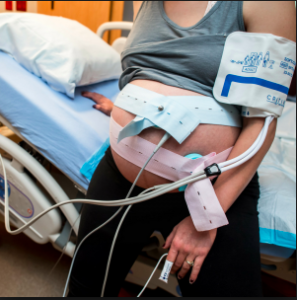 There was (and is) nothing wrong with hospitals and obstetricians hoping that continuous electronic monitoring of all laboring women would prevent both the personal tragedy and the malpractice risk to the obstetrician. The problem is not the hopes and dreams of the obstetrical profession, but what the scientific evidence says — or in this case, what it does NOT say. All the studies done in the last 50 years on the use of continuous electronic fetal monitoring on low and moderate risk mothers found that EFM combined with increased Cesarean delivery did not make any statistically-significant difference in perinatal outcomes (i.e. no reduced rate of death, cerebral palsy or encephalopathies). The one and ONLY area that c-EFM outperforms simpler methods is when used to monitor the labors of pregnant women with extremely high-risk pregnancies. However, this is only 15% of total labors. Women with low-risk pregnancies are the huge majority of all labor patients; 70% to 85%. If the obstetrical profession had limited its routine use of c-EFM to the demographic that actually needed and benefited from it — extremely high-risk labors — I wouldn’t be writing about this discordant obstetrical practice and you, the reader, wouldn’t be reading about an expensive medical misadventure directly associated with increased levels of iatrogenic mortality and morbidity. But the facts are indisputable: The current system treats all healthy women with normal pregnancies as if they were high-risk. More to the point, it does this without improving outcomes for babies and while increasing medically-unnecessary surgical deliveries, and its many complications, including increased maternal mortality and morbidity. It also identified a decided increase in Cesarean section rates and operative deliveries. It’s only positive finding was a small reduction in neonatal seizures, but this did NOT seem to make an overall difference in infant well being. This is not because the electronic circuitry of the equipment is flawed, but because the premise is incorrect – cerebral palsy can neither be reliably detected nor prevented based on the routine use of c-EFM during labor of healthy women with normal pregnancies. When c-EFM is routinely used on a low and moderate risk populations with normal pregnancies, it introduces unnatural and unnecessary risks that include a substantial increase in episiotomy, forceps delivery, vacuum extraction, Cesarean surgery and maternal mortality. … Only 0.19% of all those in the study [diagnosed with CP] had a non-reassuring fetal heart rate pattern….. Since the advent of fetal heart rate monitoring, there has been no change in the incidence of cerebral palsy. . . .
…. most instances of neonatal encephalopathy and cerebral palsy are attributed to events that occur prior to the onset of labor . . .
“most extensive peer-reviewed document on the subject published to date”. 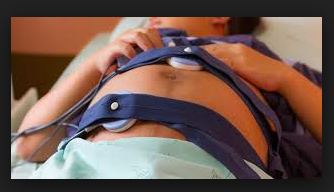 “Performing cesarean section for abnormal fetal heart rate pattern in an effort to prevent cerebral palsy is likely to cause as least as many bad outcomes as it prevents. … A physician would have to perform 500 C-sections for multiple late decelerations or reduced beat-to-beat variability to prevent a single case of cerebral palsy. But since Cesarean section carries a roughly 0.5% risk of future uterine rupture, those 500 C-sections would result on average in 2.5 uterine ruptures. This in turn would cause one case of neonatal death or cerebral palsy…. 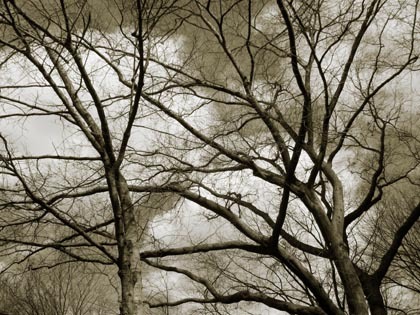 “the greatest misconception about EFM is the belief that it is a diagnostic tool. EFM is useful only as a screening tool”. 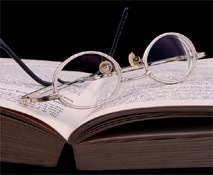 The value of EFM lies in using the information as a question, and not as an answer. Over 90% of fetuses with ‘non-reassuring’ FHR patterns are healthy. To properly evaluate an abnormal EFM strip, additional medical procedures are needed to determine the significance of this non-reassuring data. These methods include fetal scalp sampling (taking blood from small blood vessels on the unborn baby’s scalp) and fetal scalp stimulation. However, these additional methods also suffer from serious disagreements between professionals who frequently disagree over the guidelines for use and the validity of the information they provide. 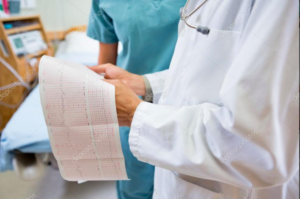 The other ‘elephant’ in the room when interpreting c-EFM data is the incredible lack of agreement between obstetricians over the data being streamed to fetal monitor screens and printed out on reams of graph paper. All the professional insiders — OBs, L&D nurses, obstetrical department heads, hospital administrators and their attorneys and lobbying groups such as the American College of Obstetricians & Gynecologists ACOG — are each and everyone aware of the “slips twixt cup and lip” when it come to the interpretations EFM data by different obstetricians. “There is considerable inter- and intra-variability in the interpretation of EFM. Clinicians disagree with each other in their evaluation of FHR about 80% of the time. One study by Chauhan et al had 5 clinical obstetricians evaluate the FHR patterns of 100 parturients using the traditional intrapartum evaluation (reassuring vs. non-reassuring). Forty-six percent of these patients had an emergent cesarean delivery, and 2% had a fetal pH less than 7.0. Simply put, the scientific literature has never supported the routine use c-EFM and one of the reasons may well be that the obstetrical profession has never been able to agree on the data. In 2003, 1.2 million Cesarean surgeries were performed in the US (27.5% cesarean rate) at a cost of $14.6 billion. The Cesarean rate for 2006 was over 31% and for the most recently available stats (2017) it’s a whooping 32.8 % (i.e. 33%) or one out of every three women who gave birth in 2017. This is equivalent to the number of people that graduate from college every year. However, C-section stats are wildly different, depending on what state the mother gives birth. For example, stats for first-time mothers in New Mexico, South Dakota and Iowa in 2017 were just 17%, but 31 percent of first time moms in West Virginia were delivered by Cesarean. Obviously the high Cesarean in the US is not the result of a universal failure of female reproductive biology. The use of Cesarean surgery as‘pre-emptive strike’ has not made the tiniest bit of difference in the incidence of CP and similar neurological conditions. And yet, the public and the press never seem to question how unlikely it is that normal childbirth in healthy women is somehow made safer and better by turning it into an expensive and risky operation. Even more oximornic is the obstetrical profession’s newly inverted relationship with c-EFm when it comes to malpractice cases claiming negligence in the use of EFM (or not using it every minute the mother was in the hospital) or mistakes interpreting EFM tracings. When OBs are on the other end of the stick, they acknowledge the information in this large body of research (examples of which I quoted earlier) and use it to defend themselves in court. Since the publication of ACOG’s task force report in 2003, attorneys for obstetricians and hospitals who got sued because a baby developed CP trot out the studies that identify c-EFM as being unable to detect or prevent cerebral palsy, regardless of how much or little the mother was electronically monitored or how the EFM data was or wasn’t the interpretation by their OB or the L&D nurses. Personally I say ‘good for them’; obstetricians and hospitals shouldn’t be sued for a bad outcomes they were NOT responsible for. But why is this recognition not used up-front, why not honestly tell low risk women that the use of c-EFM makes no difference in outcomes for healthy women with normal pregnancies. 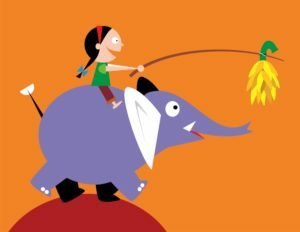 One study …. had 5 clinical obstetricians evaluate the FHR patterns of 100 parturients using the traditional intrapartum evaluation (reassuring vs. non-reassuring). Forty-six percent of these patients had an emergent cesarean delivery, and 2% had a fetal pH less than 7.0. Although cesarean delivery has clearly become safer over the past 50 years with advances in antibiotics, anesthesia and thromboprophylaxis, it is still not without risks. Woman undergoing cesarean delivery have greater blood loss and risk of damage to internal organs. Unfortunately, the well-documented evidence that c-EFM for healthy women makes absolutely no difference when it come to the policies imposed by hospital obstetrical units. They continue to insist that low and moderate risk women must be hooked up to continuous fetal monitor for the entire length of their labors. If we as individuals living in a democratic society let this ‘status quo’ prevail unchallenged in the face of a mountain of irrefutable scientific evidence of c-EFM’s ineffectiveness AND the fatal risk to childbearing women due to complications of Cesarean surgery, then we have to share the guilty with ACOG policy makers. In that case, it’s shame on us every time a healthy low-risk mother, who should have been monitored by the continuous presence of nurses or midwives using intermittent auscultation (IA), instead had a medially-unnecessary emergency CS due to the undependable information on a EFM tracing. And every time such a mother has intra-operative complications — hemorrhage, shock, drug reactions — requiring days or weeks in the ICU, and every time a post-Cesarean mother has to be treated for a post-op infection following her surgery and then loses her ability to breastfeed when she had to be re-admitted to the hospital with a drug-resistant infection that requires a week of IV antibiotics. And every time a previous-Cesarean mother develops a placenta increta so extensive it requires a Cesarean-hysterectomy in a subsequent pregnancy, and every time previous-Cesarean mother finds herself to be one of the unlucky 7 to 10% of placenta percreta patients that, in spite of being care for in one of the best hospitals with the best doctors, blood banking and best of modern medical and technological equipment, dies from a massive and uncontrollable hemorrhage. And every time a post-Cesarean woman finds that she is no longer able to get pregnant — secondary infertility — due thank to the post-op infection that scared her fallopian tubes. And last, but certainly not least, every time a husband it told that his wife “didn’t make it” due to an intra-operative, post-operative, delayed or downstream complication of her most-often medically UNNECESSARY C-section, leaving him a widow and their children without a mother. We all must own some part of the guilt of system that has institutionalized and systemized the abuse of their own power and economic advantage, a system that is characterized by a wanton disregard for the true wellbeing of healthy childbearing women and their families.